Preparing to walk down the aisle and marry a stranger at first sight is definitely a nerve racking experience, but Married at First Sight's Jasmine McGriff's first thought upon meeting husband Will Guess was definitely a light-hearted one. "Will looked kind of short at first ... I thought he was my height," McGriff joked in an exclusive interview with PopCulture.com. "Once I got to the altar and got a clear view, he was handsome and not as short. Phew! LOL." 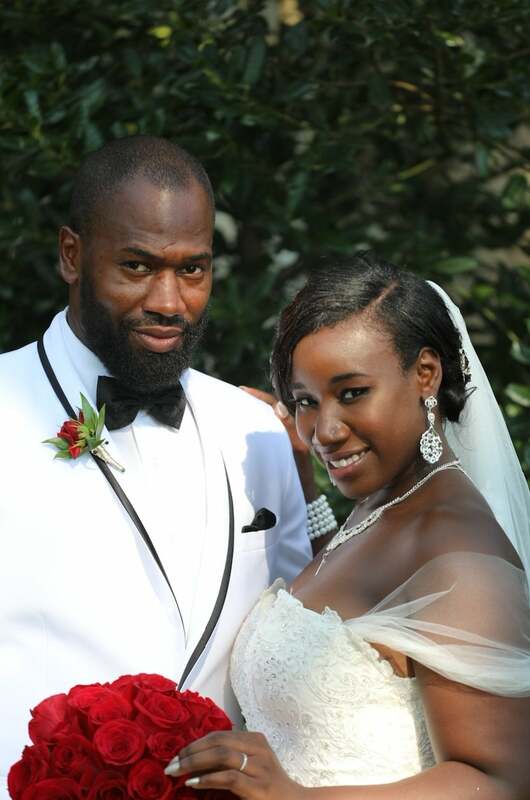 On a more serious note, McGriff opened up about how she came to star alongside her now-husband on the Lifetime reality show (produced by Kinetic Content), explaining, "I was truly over the dating scene in Philly." She continued, "I feel like the men weren't serious about wanting a longterm relationship. It all gets old very quickly." McGriff recalled a friend sending her the link to apply to be on the show after learning Season 8 would be filmed in Philadelphia, and thinking it was a good next step towards creating the family she so desperately wanted, televised or not. "I wasn't even thinking about it being televised or being filmed," she explained to PopCulture. "I honestly was thinking about experts matching you with someone that should be perfect with you. I was obviously doing something wrong, still being single after three years. I decided to enlist the help." It wasn't an easy process, with McGriff meeting extensively with Married at First Sight experts Dr. Jessica Griffin, Pastor Cal Roberson and Dr. Pepper Schwartz to come up with a truly compatible relationship for the rest of her life. "It often feels like a second job on top of getting to know a stranger spouse!" she joked of her meeting with the experts and getting matched with Guess. And it seems like the two are a perfect match so far, with McGriff teasing, "Our journey has been great!" "It's very time consuming; I feel overwhelmed at times trying to balance work, school and filming," she continued. "But I learned a lot about myself and how strong I am!" We can't wait to see how their love story plays out!